This is a set of 3, 1.25 oz. 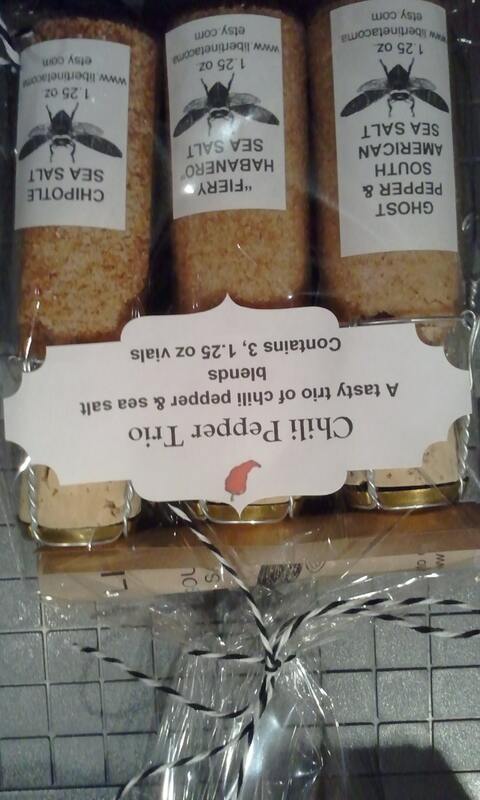 glass vials of flavored sea salts perfect for those who love spicy! 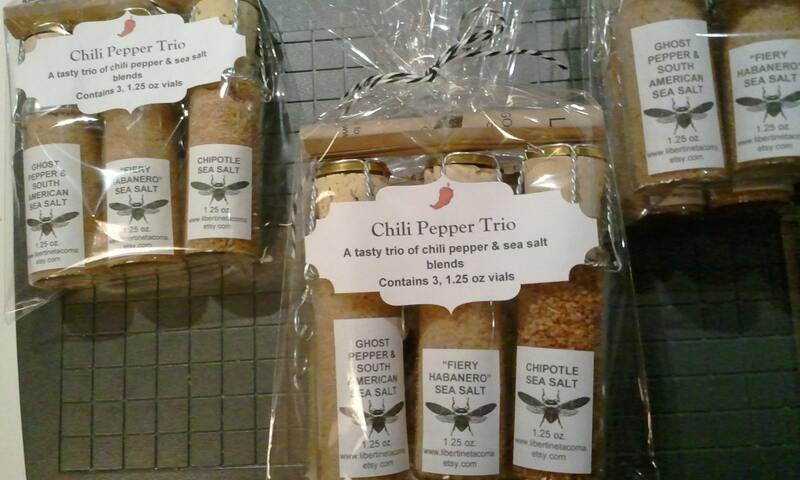 Chipotle Sea Salt Blend, "Fiery Habanero" & South American Sea Salt Blend and Ghost Pepper & South American Sea Salt are the 3 delicious blends in this set. They are flavorful and SPICY! Perfect for grilling, chicken wings, tacos, desserts, vegetables, hamburgers and just about anything you want to add some heat to! Libertine Tacoma Gourmet Culinary Salts & Blends are all natural, most are vegan and additive free. No anti-caking agents are used as they can potentially be hazardous. If your salts or blends become “clumpy” just keep the lid tight and shake them around before using. 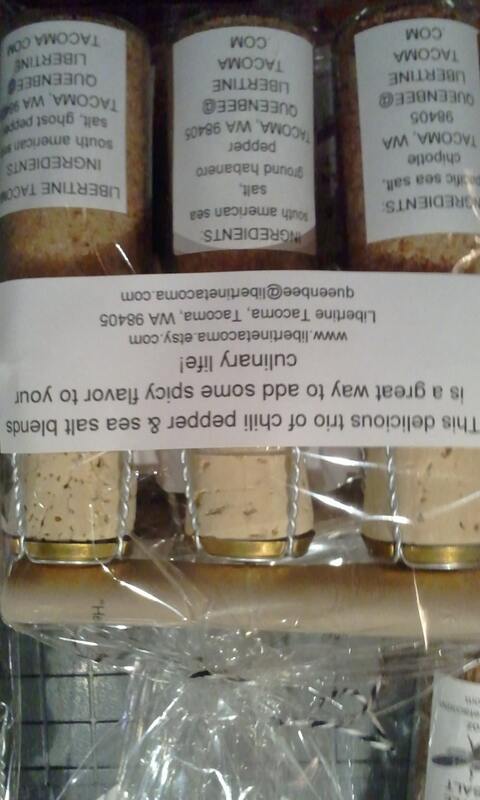 Please store Libertine Tacoma’s Gourmet Culinary Salts & Blends in a cool, dry place out of direct light and heat.